JMS hit another milestone in February 2018 which was celebrated and recognized. 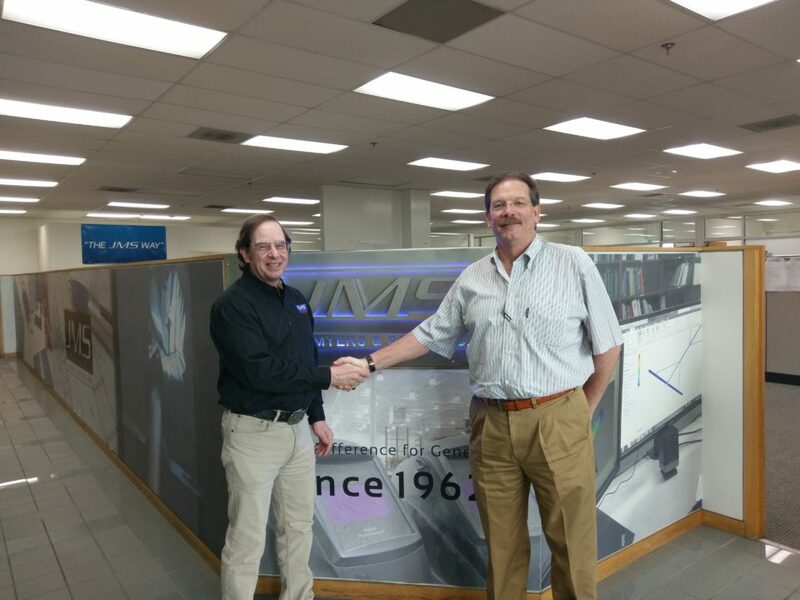 Richard Wayne Barger joined JMS on February 22, 1993 and has now completed his 25th year on the JMS team. Rick applied to JMS as a CAD operator with no intention of hiring-on but an offer was made and Rick’s story began. 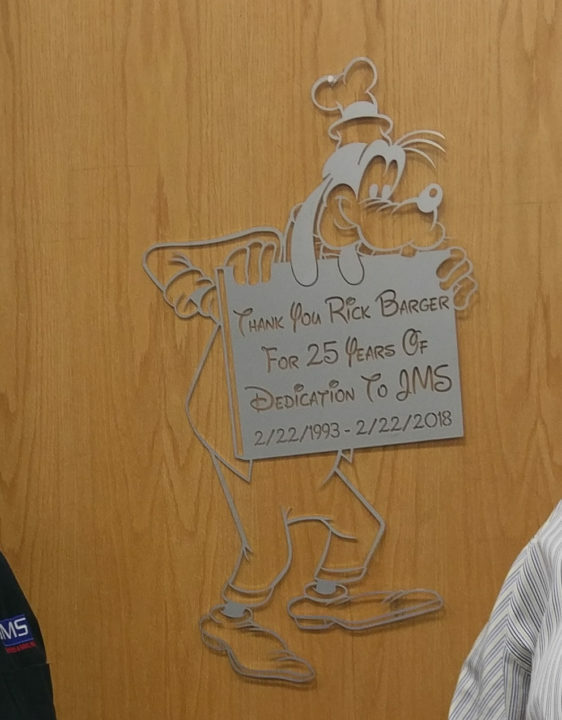 Dave Myers, President describes Rick’s arrival, “Rick arrived on day one with pencil in hand, but soon after launched the JMS CAD department and has not looked back. 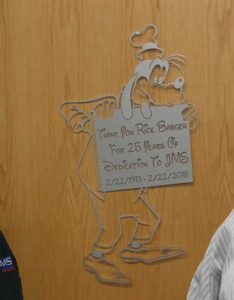 During his 25 year tenure, Rick continued to be a key contributor to JMS Product Development and Design along with contributing to a business culture that still exists today. Along with Rick’s contributions, our Team has enjoyed his wife Pam’s contributions every Christmas when she delivers a fine selection of Christmas goodies.” JMS and our entire Team have benefited from Rick’s knowledge and contributions for 25 years, and thank Rick Barger for his commitment to JMS from February 22,1993 – February 22, 2018. Dave Myers is the Owner and President of Jim Myers & Sons. Dave received his formal education at UNCC with a degree in Business Administration. He joined the family business in 1980 and was responsible for manufacturing and field service activities, and in 1992 he transitioned to managing JMS engineering and projects. 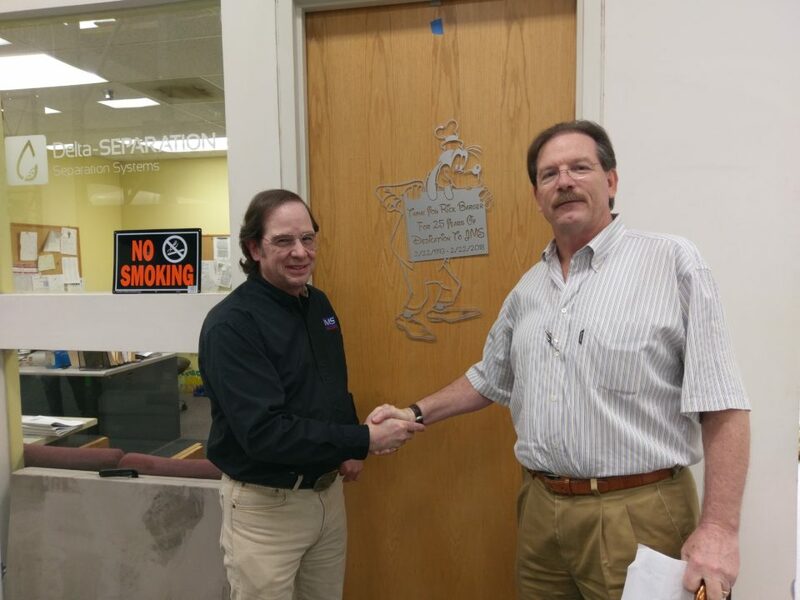 Dave became the President of JMS in 2005 with responsibilities of overseeing all departments. He is a current and active member of WEF, AWWA, WWEMA (Water and Wastewater Equipment Manufacturers Association), and CEMA (Conveyor Equipment Manufacturers Association). During his tenure, Jim Myers & Sons has grown to be a nationally recognized designer and manufacturer of Municipal Water and Wastewater Treatment Equipment.